Princeton University Press, 9780691139920, 253pp. Faith in the Fight tells a story of religion, soldiering, suffering, and death in the Great War. Recovering the thoughts and experiences of American troops, nurses, and aid workers through their letters, diaries, and memoirs, Jonathan Ebel describes how religion--primarily Christianity--encouraged these young men and women to fight and die, sustained them through war's chaos, and shaped their responses to the war's aftermath. The book reveals the surprising frequency with which Americans who fought viewed the war as a religious challenge that could lead to individual and national redemption. Believing in a "Christianity of the sword," these Americans responded to the war by reasserting their religious faith and proclaiming America God-chosen and righteous in its mission. And while the war sometimes challenged these beliefs, it did not fundamentally alter them. Revising the conventional view that the war was universally disillusioning, Faith in the Fight argues that the war in fact strengthened the religious beliefs of the Americans who fought, and that it helped spark a religiously charged revival of many prewar orthodoxies during a postwar period marked by race riots, labor wars, communist witch hunts, and gender struggles. For many Americans, Ebel argues, the postwar period was actually one of "reillusionment." 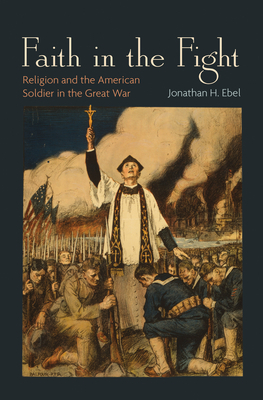 Demonstrating the deep connections between Christianity and Americans' experience of the First World War, Faith in the Fight encourages us to examine the religious dimensions of America's wars, past and present, and to work toward a deeper understanding of religion and violence in American history. Jonathan H. Ebel is assistant professor of religion at the University of Illinois, Urbana-Champaign.